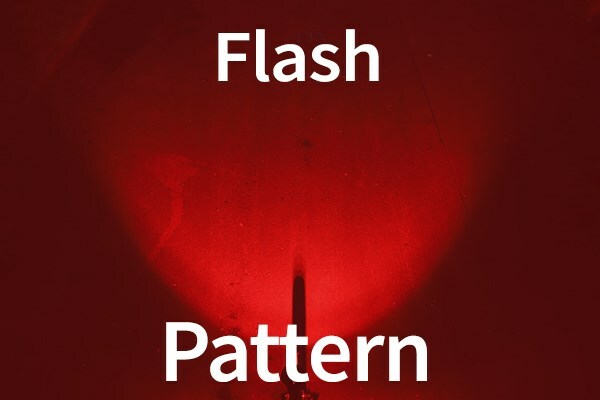 For those who love TT or simply riding very fast you don't want to lose any aero advantage when you're riding, but you also want to be safe on dark rides. 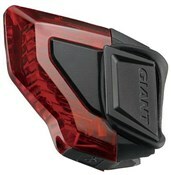 Giant solves the problem with its very aero Numen Aero Plus LT rear light. 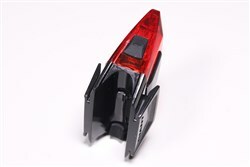 Designed specifically to fit an aero frame the 3 LED's give you up to 6 hours of run time depending on the lighting mode (steady, flashing or patrol). 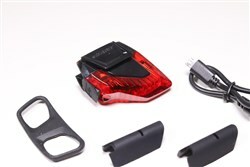 Mini USB rechargeable means you can charge the rear light at home or at work very easily. 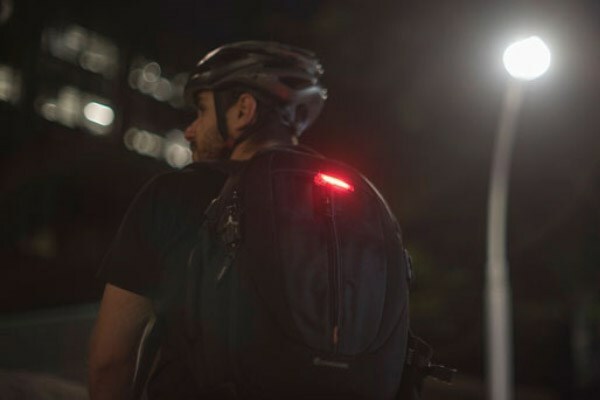 The shape of the Numen Aero shell gives the rear light very good sideways visibility which is especially useful for urban riding. Excellent Rear Light. Very cool and streamlined on my Giant Propel. USB recharging, looks and lighting modes are as good as anything out there for the money. They don't fit around my seat post! I have a Merida and the seat post is too wide for this to fit. I'm guessing that this is only for Giant bikes? I have managed to bodge it but it's not great. Other than that, the light is really good, just a shame that it's so hard to find a light to aero frames!!! great battery life and very easy to use. Plenty of different modes and attaches to aero post as long as the rear of the post is curved. Brought this light recently as cycling to and from work now is mostly in the dark and the cheap lights i had wasn't helping to see or be seen. The elastic just fits around my seat post ( i do ride a MTB not a road boat ) the elastic is very stretched and not easy to get on, i hope it holds out. Unfortunately this needs to be undone every time it needs charging( has lasted over two weeks so far - commute is 15min each way). 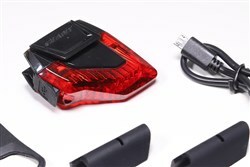 The light its self is ideal and once off the bike easy to recharge with the usb cable it comes with. It has several modes / brightness - I've become fond of the pulsing mode as it seems to stand out more. if it had another way of attaching it id be happier. But a great product non the less. A brilliant solution for the aero seatpost, a compact aero light which complements the smooth lines of any bike. Highly visible and easy to fit and remove. Delighted with this purchase. 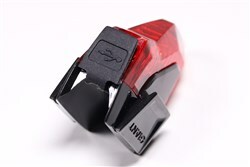 bought it for my bike about a week ago,it is super useful and it is obvious in the dark.it totally fits with my road bike.it doesn't ruin the sporty look of your bike at all.it has got the price in the market and it is made by giant.this is totally worthbuying. Bought this for my Ridley Noah RS which has an aero seat post. Light looks really well on bike. Fits well only the rubber band is quite stretched so hope it doesn't break. Band is stretched as my seat post is larger than Giants. So would not be an issue with a Giant bike. 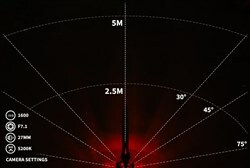 Excellent light for the money a bargain! Great aero design and simple to fit. Looks good, light has several settings, nice and bright too. Highly recommended, very pleased.